Written by Chris, a teacher in Pembina Trails School Division. We were given a Dream Catcher craft kit from Quality Classrooms to try out and Rose's 8th birthday party seemed the perfect testing ground. Prep involved setting the kit out on the table for each child, along with a named paper plate. The kids also had access to markers and extra beads. I love to cover tables with Brown Kraft Roll paper so quick finishers can doodle and play games on the table top. The table beneath (a ping-pong table in this case) was also protected from markers and paint. Children were given a chipboard hoop and feathers to decorate with markers. They were reminded to decorate both sides if they wanted to hang their dreamcatcher in a location where it would spin. While decorating, we shared our understanding of the Dream Catcher's origins and how it was used by Ojibwe peoples, often hung over a baby's cradle as a protective charm. Many of the children had a dream catcher in their room and they explained how it caught their bad dreams and let the good dreams through. We used named paper plates to keep the pieces of our dreamcatcher organized. On one side the holes on the hoop were labeled from 1-12. The pattern given in the craft kit instructions was easy to follow. Hole #7 was a challenge as they had to thread twine through it 3 times! Some ignored the pattern and did their own thing... that worked too! Beads were added during the threading process and after. The leftover string was long enough to add the cardboard feathers and some extra beads, using a simple knot. Some children were very independent, whilst others needed assistance to thread the pattern and did not want to vary from the recommended guidelines. All crafters had success and were able to complete the Dream Catcher. The children were happy to show off and take their Dream Catchers home. String this Native American craft together to ensure good dreams! Decorate the thick cardboard hoops with markers, paint or crayons before threading the string through the pre-punched holes. Use our stringing suggestions or ask students to invent their own patterns. Don't forget to decorate the included card feathers. Try adding beads to your dream catcher for a bright, dynamic look. Includes 12 dream catchers, 13cm x 13cm, 29.7 m twine, 12 plastic needles, beads and guide. This book provides a clear explanation of the Dream Catcher meaning. 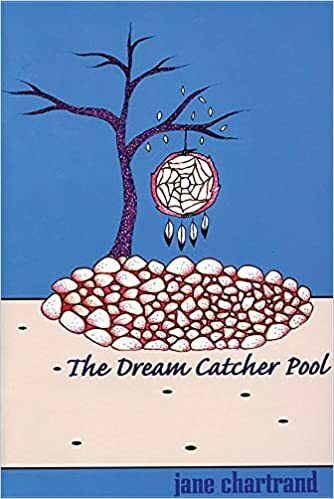 The Dream Catcher Pool is a beautiful book about a boy Heyden, who is eager to help when Nokomis wants to build a Dream Catcher Pool. In the process, he learns rich lessons about his heritage.